In the Pacific Northwest, the coffee competition is stiff. With world-renowned roasters and famous cafes in virtually every city, the region is packed with exquisite coffee options. At the top is Stumptown Coffee Roasters. Founded in Portland, Oregon in 1999, Stumptown has built a worldwide reputation through its great-tasting coffee products, diverse sourcing, and excellent direct trade business practices. When you drink a cup of coffee from Stumptown Coffee Roasters, you’ll taste the quality in every sip. Read on to learn more about Stumptown and everything we have to offer here at Seattle Coffee Gear! In terms of taste and production ethics, few companies do coffee better than the good people at Stumptown Coffee Roasters. 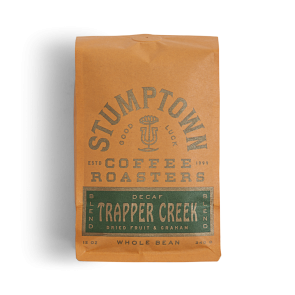 From the beginning, Stumptown distinguished itself through exceptional quality coffee made and sourced the right way. Stumptown stresses direct trade—meaning the company gets its coffee directly from the people who grow them, cutting out middlemen and increasing profits for those who deserve them most. As evidenced by Stumptown’s exquisite coffee blends, it’s safe to say that this process is working for everyone involved. Today, Stumptown has roasteries across the U.S. and sources ingredients from growers across the globe. Here at Seattle Coffee Gear, we know good coffee when we taste it. 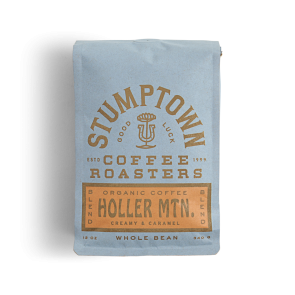 And when it comes to Stumptown Coffee Roasters’ coffee, we’ve yet to a blend we didn’t love. That’s why we’re proud to carry an extensive selection of blends from this world-renowned roaster. 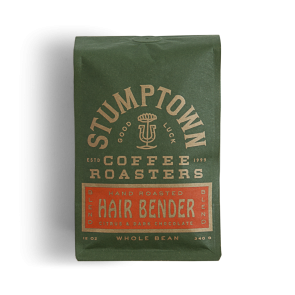 Whether you’re looking for a classic blend like Holler Mountain or a dedicated espresso blend like Hair Bender—our Stumptown selection has something for you. Plus, we offer coffee subscriptions and comprehensive customer service to make your coffee shopping experience easier and more enjoyable than ever.